At John Eaton Elementary School the parents and teachers work together to ensure an excellent academic experience for all students. 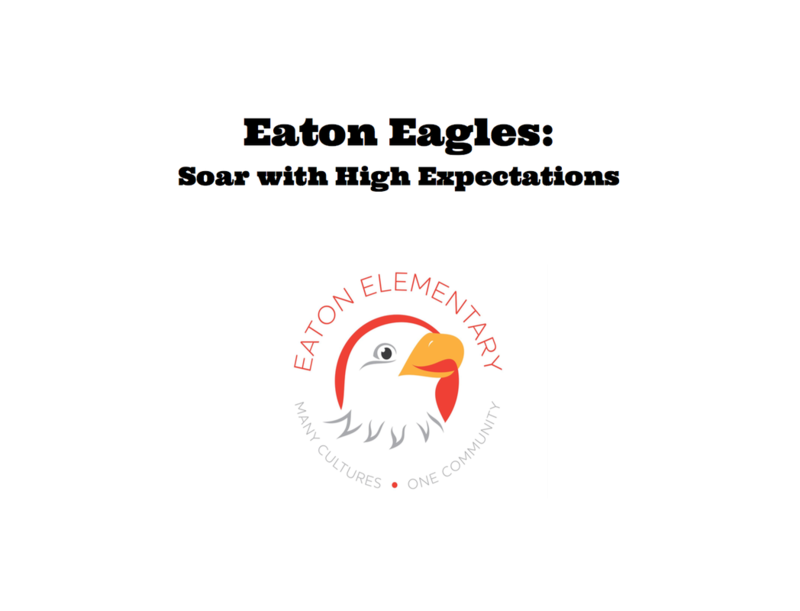 This partnership is essential to helping our Eaton Eagles to soar. Our community is characterized by five traits: cooperation, assertiveness, responsibility, empathy, and self-control. 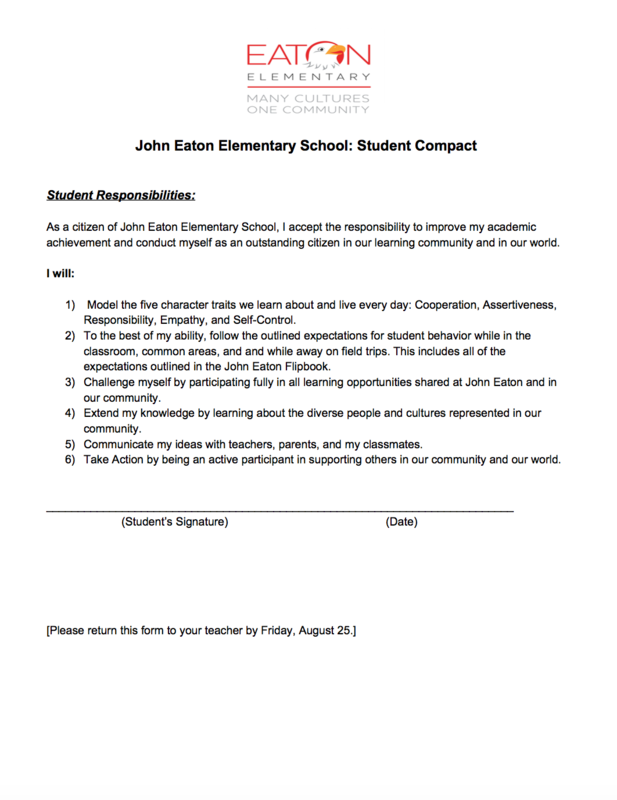 Below you will find downloadable versions of our behavior expectation guide (flip book) and our student, parent, teacher compact.